Its pretty simple to register for and use a Payoneer account & MasterCard in Nigeria using your National I.D card, Driving License or our very own Nigerian Voters card as a valid method of identification if you don't have the above two. After registration, the Payoneer MasterCard with its logo boldly written on it will be shipped to you in Nigeria free of charge within the pace of 20 to 30+ days. In case you don't know what payoneer is all about, it is an online payment company, like PayPal and payza that is available to Nigeria's to use without the need for any back door or changing of IP address. With it, you get a free US Bank account with routing number that can be used to receive payments for services rendered online with ease and convenience as well as make payments to other Payoneer users. The card can also be used for buying things online from stores that accept the use of prepaid cards as long as you have money on it. Also, you can withdraw your money from any ATM around the world with a MasterCard logo written on it. So How Do I Create & Own A Payoneer Account & MasterCard? ==>1. Its pretty simple. First, goto www.payoneer.com and click on sign up. ==>3. Enter a strong password you can easily remember, and select a secret Question and Answer for account recovery (mind you, this question will be asked each time you want to contact or chat with Payoneer on live chat). ==>4. Select your ID type e.g drivers license and provide the details of the ID as required (for voters card, pick others). ==>5. Enter alternate shipping address if different from the address you provided earlier. Note it should be a valid address as that is the address your Payoneer Debit Card will be shipped to in Nigeria. ==>6. When done, click the ORDER Button and you are good to go. It will take a minimum of two days for your account to be approved by payoneer. As long as your I.D is valid, and corresponds with the information provided by you, the account will be approved. You can check your mail regularly for approval notification. Once approved, your Payoneer Mastercard will be shipped to the alternate shipping address you provided during the application process. It will take about 20 to 30+ days (3 to 6 weeks max) to be be delivered. However, if the time has exceeded 6 weeks, goto the nearest post office in your area and enquire for your card. For faster delivery, (3-6 days) consider the $50 expedite shipping option via DHL. Or use a lagos address. As this willl make it come faster. Once you get your Payoneer card, you have just one more step to go which is activating the card. To do that, login to your Payoneer account at Myaccount.payoneer.com and click on Activate. Input a four digit pin of choice for making withdrawals with your card and click on activate. After that, you can then start using your card on any ATM with MasterCard logo e.g Zenith, Ecobank, fidelity etc. And be sure to keep your card safe to avoid stories that touch. As with every MasterCard, once in the wrong hands, one can easily make purchases with it online without your pin. My next post will be on different ways to make money with your Payoneer account and from Payoneer partner websites. Pls share if you found this post interesting. 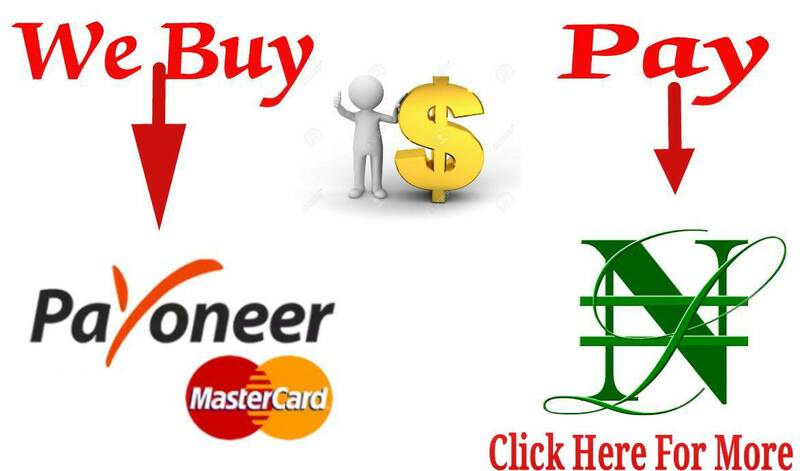 You may also want to see how to make money using Payoneer affiliate program. That will most likely be a network issue. Try signing up in an area with a strong network reception. And again do it on PC or if you must use phone, use chrome browser. do not notice this. You must continue your writing. I'm confident, you've a great readers' base already!